From the golden age of cereal packet free gifts and promotions. This was a mail away offer rather than an in-packet freebie. 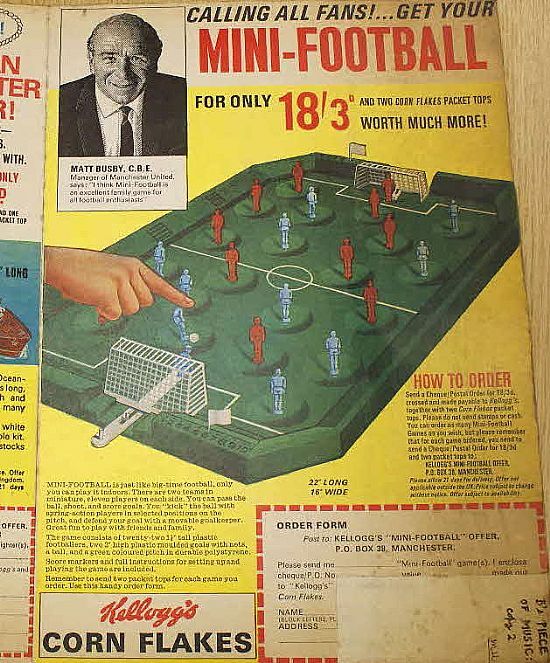 Dates to 1967 with world cup fever still fresh I'm sure it was hugely popular. 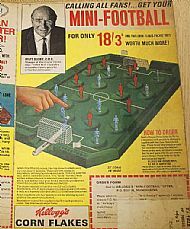 A mail away cereal packet offer game from 1967. Missing score markers and a couple of re-glued players but in great shape overall with original posting box. 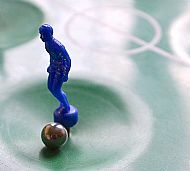 Classic men on a spring in a recess game. 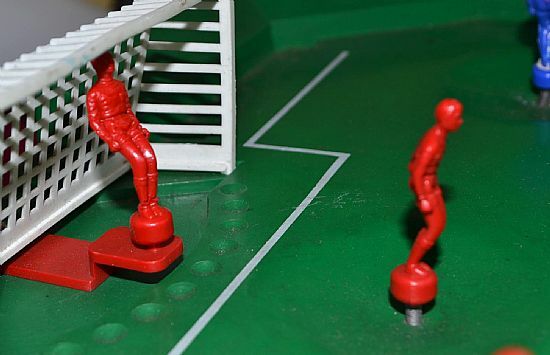 Basic plastic moulded figures. The keeper is way too large for the goal but he does have a neat kicking mechanism to take goal kicks. 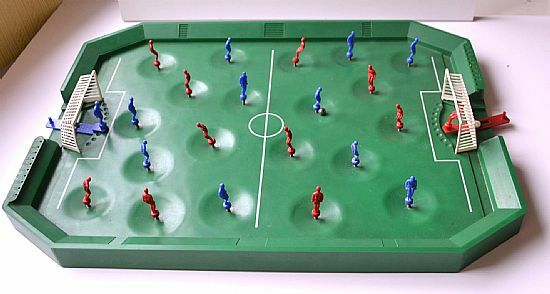 Large plastic pitch, 22 players and a ball bearing. 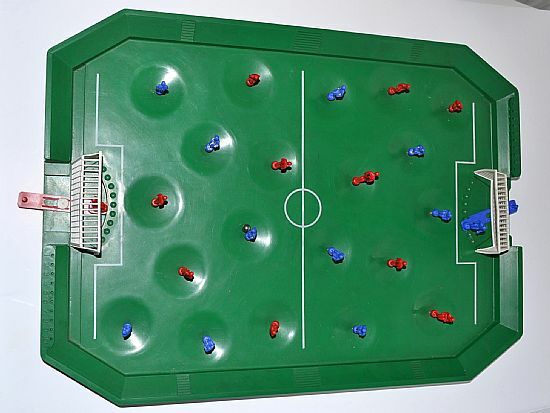 Originally you could choose where the players were positioning. 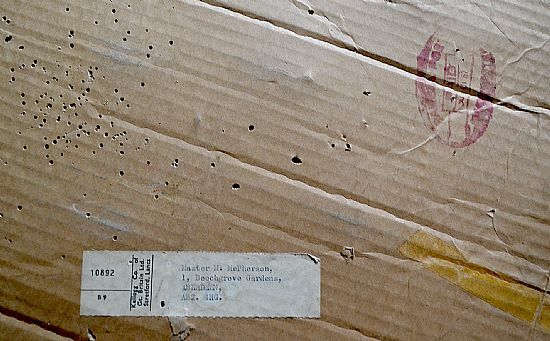 The original posting box with Kelloggs label and 1967 post mark plus a mass of darts holes! Here is the original offer on a 1967 box of Kelloggs Corn Flakes.